Restorations, sedation dentistry, periodontics, wisdom teeth, and more. Click here to learn more about our New Patient and Emergency Service Specials! Our team of dentists in Lawndale, Dr. Charles Olono and Rita Bagdasarian-Olono, are passionate dental professionals caring for the oral health of our community. They offer general dental treatments ranging from routine cleanings, affordable braces, root canals, and extractions at an affordable price. Schedule an appointment with our Chicago dentists to explore options for improving your oral health. Since 1985, Dr. Olono and Dr. Rita Bagdasarian-Olono have helped countless patients overcome their dental issues and improve their health. 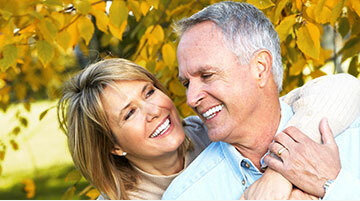 Lawn Dental Center is dedicated to alleviating discomfort and enhancing smiles. Our dentists provide everything patients need to reach optimal oral health. 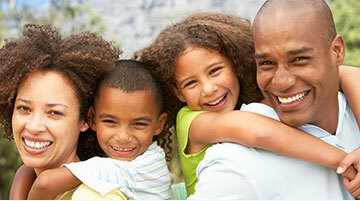 Our practice offers affordable dental care in Lawndale. We have a range of personalized treatments fit for each patient. Whether looking to maintain longevity with long-lasting materials or enhance the smile’s aesthetics with cosmetic services, Lawn Dental Center has options tailored to your needs. We are gentle when administering treatment and do our best to make dentistry as painless as possible. As part of our commitment to patient care, we spend time discussing procedures and educating patients on their treatment. We believe building relationships with people helps to deliver accurate results, improving satisfaction. Our team treats patients like family, caring for them as we would our own. Lawn Dental Center offers later hours and weekend appointments to make dental care convenient for you. Whether looking to see our dentists in the evenings, on Saturdays, or during an emergency, our team is available when you need them most. Dr. Charles Olono and Dr. Rita Bagdasarian-Olono became dentists because they love to help people—a cliché in healthcare that never gets old. Our practice is committed to improving oral health for patients in Chicago. We serve patients from Lawndale, Little Village, Pilsen, Cicero, and other cities across Cook and DuPage county. Call our office today to schedule an appointment for you and your loved ones today. Lawn Dental Center customizes dental treatments to fit the needs and budget of each patient. We offer various cosmetic procedures to create an attractive, functional set of teeth you can confidently show. 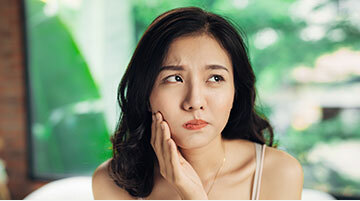 Four out of five people have periodontal disease and don't know it! Good oral hygiene, a balanced diet, and regular dental visits can help reduce your risk of developing periodontal disease. Through improved techniques and modern technology, we are able to offer more options for restoring a tooth back to its normal shape, appearance and function than ever before. Whether it's traditional braces or custom made removable appliances, orthodontics can help you have the healthy, straight, beautiful smile you've been waiting for! Coming here was fun. I got to enjoy my time with the employees. I love how my teeth turned out. I didn’t dread coming here. It was fun for the most part. I love this office’s easy payment plans. Charley is the greatest dentist … and his work is awesome. I hope he lives forever. I have always had less-than-desirable experiences at the dentist. Since coming to Lawn Dental Center one and a half years ago due to a dental emergency, I can say I’m nothing but pleased. The care and attention I receive is top notch. They changed the most fearful person into a person who actually enjoys coming. If you are a person who fears going to the dentist, this is the place for you. You will NEVER look at dentistry the same again—I know I haven’t.